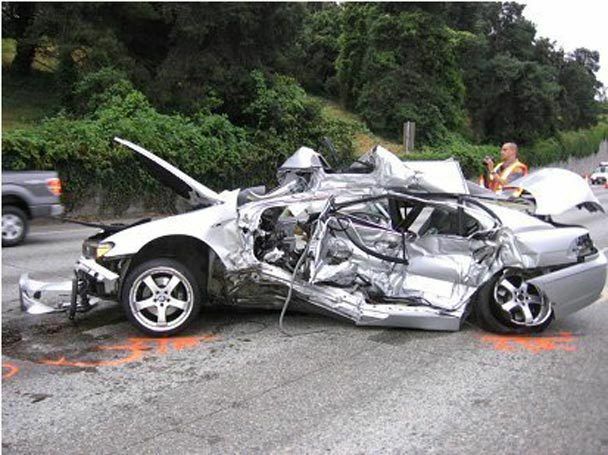 NHTSA data shows that from 2001-2005, an average of 36 fatalities occurred per day on America's roadways as a result of crashes involving an alcohol impaired driver. That number increases to 45 per day during holiday periods and jumps to 54 per day over the New Year's holiday. 38% of all traffic fatalities during the Christmas period occurred in crashes involving a drunk driver or motorcycle rider and 41 percent during the New Year's period. This compares with 31 percent for the year as a whole. 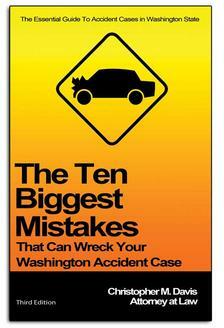 Driving with a blood alcohol content (BAC) of .08 or higher is illegal in all 50 states and the District of Columbia. If you choose to celebrate a holiday by drinking and then driving a vehicle you not only risk killing yourself or someone else, but the trauma and financial costs of a crash or an arrest for driving drunk can be devastating. Celebrate smart. Stay alive, don't drink and drive. 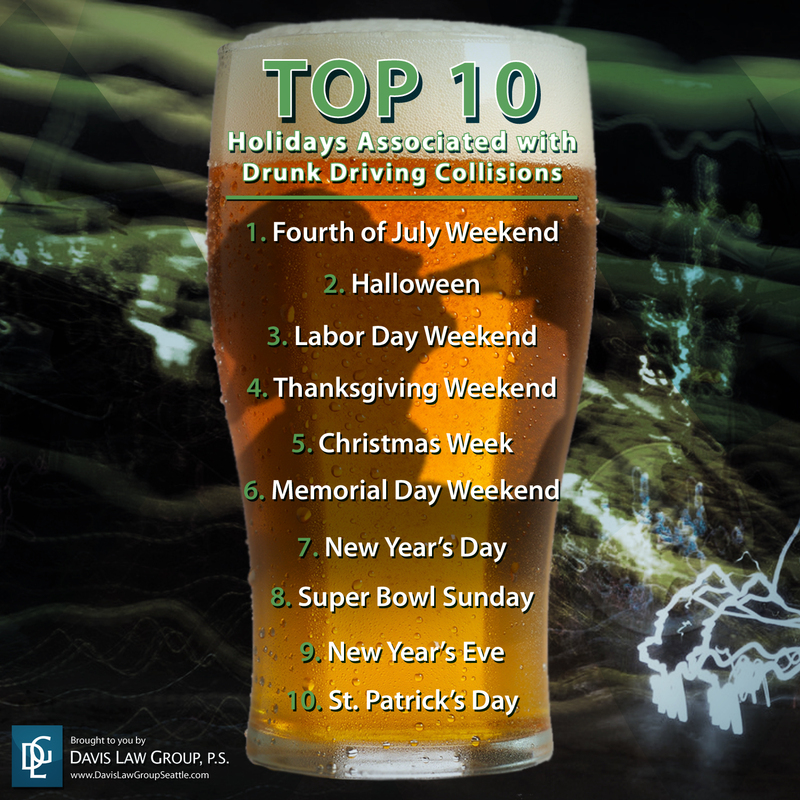 Top 10 Holidays Associated With Drunk Driving Collisions by Davis Law Group is licensed under a Creative Commons Attribution-NoDerivs 3.0 Unported License.